Exclusive! A little bit of humour goes a long way! 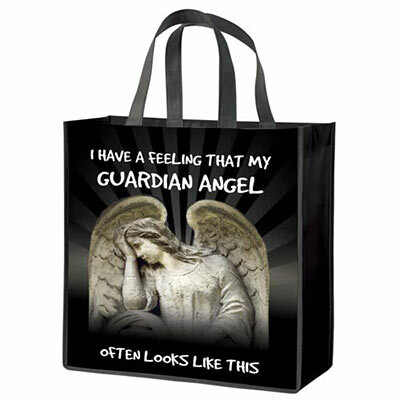 Our Guardian Angel Tote stays with you whether you're shopping, working out or running errands. Durable, non-woven polyester, coated for easy wipe-off cleaning. Imported. 14"w, 12"l handles.